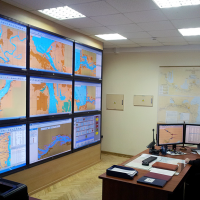 The Transas River Information System (RIS) has been designed specifically to ensure safe navigation on inland waterways and to provide the conditions for safe and secure navigation along rivers. It facilitates comprehensive planning of ship traffic in coastal waters, thereby contributing to a more efficient utilization of inland waterways. Transas RIS is compliant with European standards and all specific requirements for River Information Services. Moreover, it supports the Vessel Tracking and Tracing Standard for Inland Navigation and Electronic Chart Display and Information System for Inland Navigation Standard. Wide range of external interfaces. VHF Communication system supporting ATIS code.